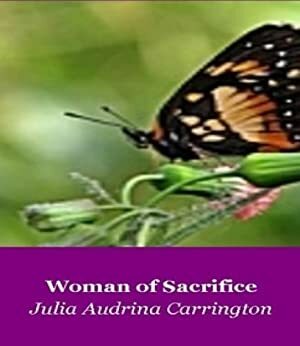 Woman of Sacrifice is part of the real life story of Julia Audrina Carrington who is a born again Christian as she served God as a missionary in a very difficult and dangerous part of the world where she experienced joy in her service to Christ and endured danger, persecution and much hardship and severe betrayal for the cause of Christ Whom she loves. This is a fast moving, intriguing story that will draw your heart closer to God. This book called Woman of Sacrifice is filled with action, danger, commitment and the presence of God. Other books about her life include Woman of Love, Woman of Purity, Woman of Hope, Woman of Kindness, Woman of Holiness, Woman of Valour, Woman of Power, Woman of Eternity, Woman of Integrity, Woman of Humility, Woman of God, and Gift of My Heart. All these books can be purchased on line at unibook.com along with other books. Type in her author name, Julia Audrina Carrington to see all her great, exciting books that are sure to bless, encourage, comfort, challenge and inspire you. We started tracking this book on April 17, 2013. The price of this book has changed 98 times in the past 2,197 days. This book has been $9.99 44 times since we started tracking it.